It’s Euphoric… It’s the pre Mardi Gras revelry – Goa Carnival! 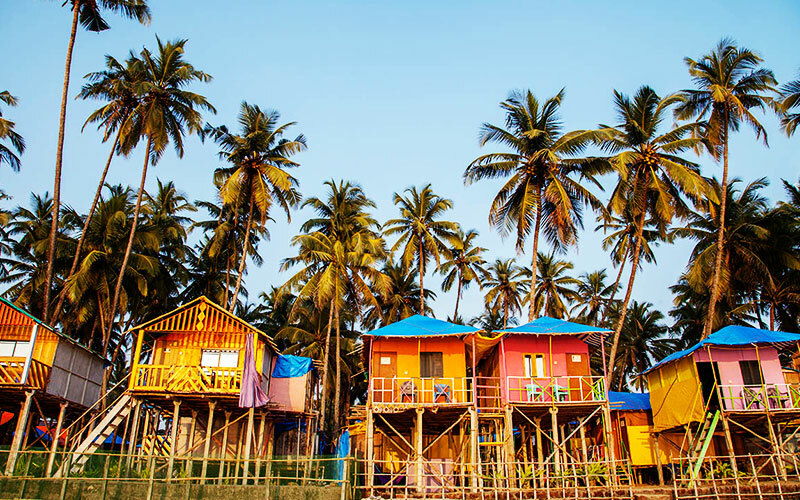 Balmy Shores, soothing serenity, the laid-back languidness and the euphoric fun reminds nothing but Goa. This western coastline of India attracts more than 2 million visitors every year. The easy going culture and love of fun & food of this place has made it an absolute hang-out destination. Adding vibrancy to Goa, are its ecstaticfun and awesome festivities. The festivities begin in December during the holiday season and New Year and continues up to the celebration of the pre Mardi Gras revelry or popularly known as the Goa Carnivals. 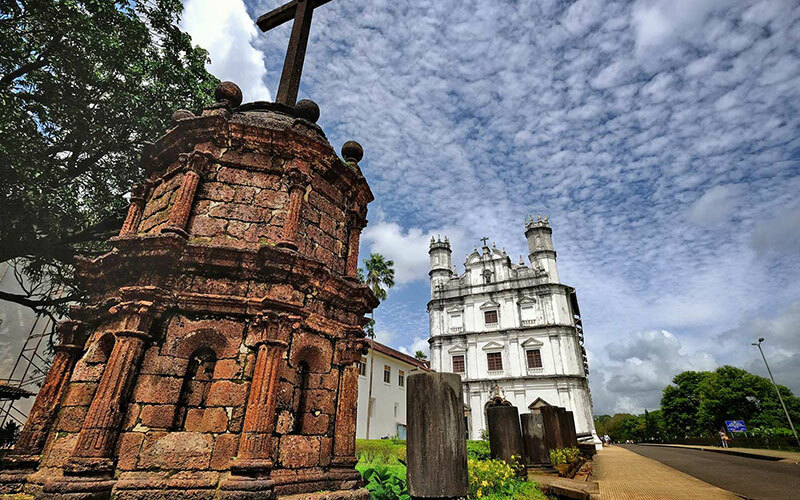 This tradition that dates back to 1510 when the Portuguese arrived in Goa. This 4 days razzmatazz is a precursor to the abstinence of Lent. The carnival was introduced by the Portuguese and has been celebratedsince 18th century. Exclusive and unique to Goa, this festival is observed all through the state with great verve. The carnival is all about eating, drinking and merrymaking throughout the days & nights. Unique decoration, attractive lighting, electrifying music, masked dancers and lots more fun add sparkle to the festival. The colourful parades all through the night accompanied by live dance troupes & bands on the streets of Goa is fun-all-night. Not to forget the foodies, it is a gastronomic delight being here. This carnival also marks the highest footfall of tourist in Goa. All you need is to plan your trip much in advance and primarily with a trusted tour operator. The facilities are packed to their capacity and prices at all-time high. Nevertheless, Max Holidays has its capability to provide you the best experience of Goa Carnival at a real good deal. It is a 7 days tour program exclusively planned for Goa Carnival. 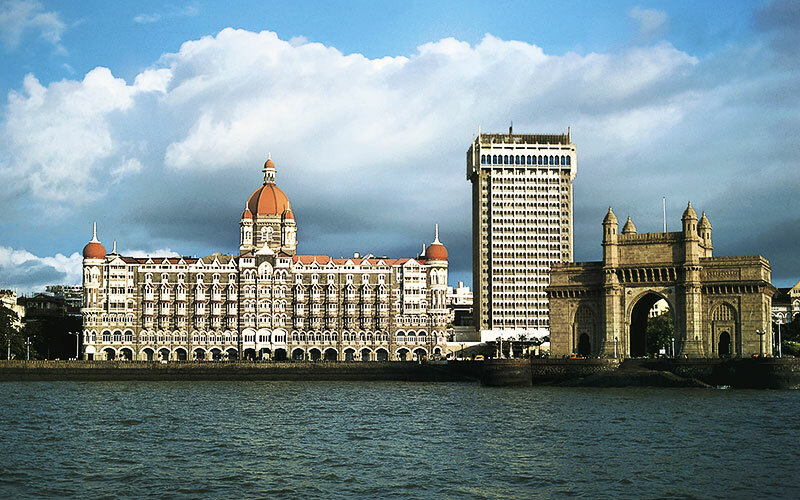 Your holiday starts with your arrival at Mumbai Airport and sightseeing of India’s commercial capital o Day 1 & Day 2 respectively. After Mumbai it’s sheer fun time at Goa. Enjoy the carnival to the fullest for the next couple of days and then return to Mumbai for our onward journey. Arrive at Mumbai International airport; where Max Holidays representative will meet you and transfer you to your hotel. After completing, check in formalities, relax at the hotel. Overnight stay is at hotel. This morning we start with the visit to the Mumbai's most famous monument ‐ Gateway of India - built by the Britishers in 1911 as the entry gate to Mumbai. Here, we will do the excursion to Elephnata caves where we board the boat cruise which will take us to the Elephanta caves dedicated to Lord Siva. We now visit Prince of Wales Museum where the wide collection of artefacts, paintings, sculptures, Chinese and Japanese antiques. Drive through the University of Bombay, High Court of Mumbai, Victoria Terminus Railway Station. Visit Flora Fountain, Hanging gardens and Dhobi Ghats - an open laundry. Evening is free to walk around Chowpatty beach and Crawford market. Overnight stay is at hotel. 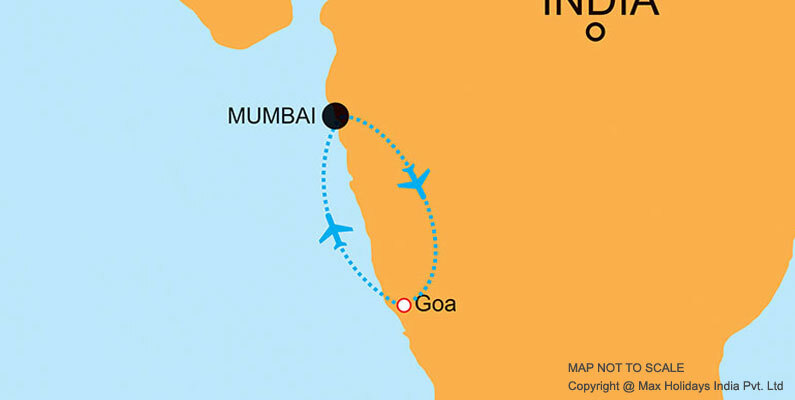 After breakfast, transfer to the airport to board your flight for Goa. Arrive and meet to our representative at airport and transfer to your hotel. Evening is free to participate in the famous Goa Carnival a Portugal style festival. During this festival you will see the parade of people with colourful costumes and masks, singing and dancing on the streets. Overnight stay is at hotel. Breakfast at hotel’s Coffee shop and later explore the beautiful beaches of Goa Rest of the day free for leisure. In the evening enjoy the traditional carnival with Goan delicious food & wine, watching dance & songs. Overnight stay is at hotel. Another day is free in Goa to enjoy the festivities of the Goan festival and relax. Overnight stay is at hotel.